Series of illustrations created for a hospital to help patients understand the esophagectomy surgery. Figure showing 3 different surgical approaches to the esophagus. 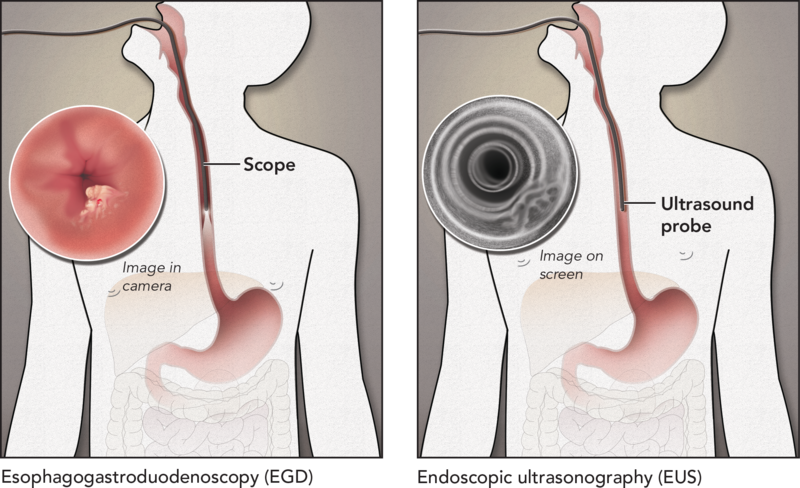 Procedures used to diagnose esophageal cancer.